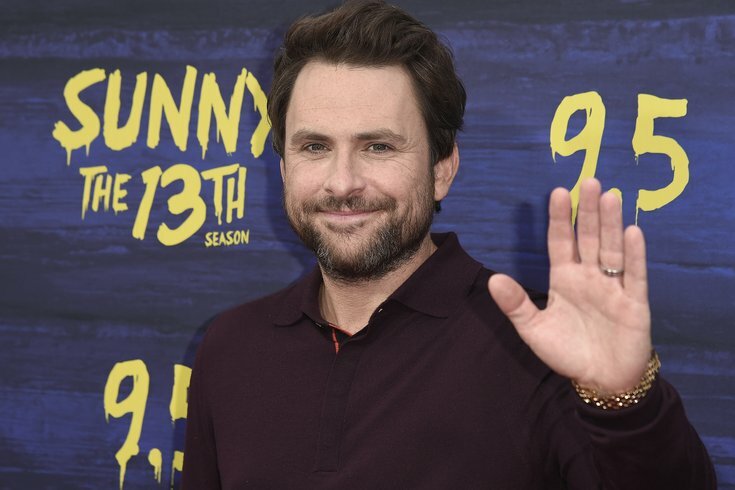 Charlie Day at the Season 13 Red Carpet Premiere event for FXX's "Its Always Sunny in Philadelphia" at the Regency Bruin Theatre on September 4, 2018 in Los Angeles, California. Outside of New England, fans don't have many memorable positive moments of Super Bowl LIII. The Patriots won, you really didn't care and everyone got to make fun of Maroon 5's halftime performance. It may be a bit late, but "It's Always Sunny in Philadelphia" is here to make the Super Bowl retroactively better. The highlight of the ridicule directed at Maroon 5 centered on frontman Adam Levine's wardrobe and the assemblage of tattoos he had beneath it. Many people took the time to make fun of this by removing their shirts and repping their home states. One brilliant fan of "It's Always Sunny" turned to one of the show's most famous scenes for inspiration. Charlie Day loved it so much, he decided to share it himself. Behold, Charlie celebrating the great state of ... of Pepe Silvia! The backstory here comes from the Season 4 episode "Sweet Dee Has a Heart Attack," in which Charlie and Mac get office jobs in order to obtain health insurance coverage. Charlie's position in the mailroom drives him to concoct an insane conspiracy theory: The company is being robbed by man named Pepe Silvia, who never collects his mail and doesn't exist. The implied joke here is that Charlie, whose illiteracy is well-known, has actually been misreading the word Pennsylvania on every single letter. Mac says their colleagues upstairs are freaking out because they're not receiving mail. If there's one thing Maroon 5 can do to redeem themselves from the halftime show, it would be accepting Charlie's proposal to get on stage at one of their shows and sing "DayMan."